Donna Michele, CPP, is the Payroll Operations Manager for St. Peter’s Health Partners in Albany, NY. She has presented at the American Payroll Association’s Congress and is a published author of an article in PAYTECH magazine. 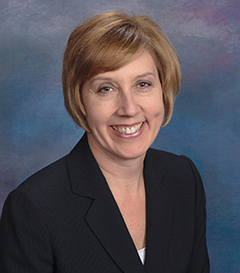 She is the recipient of the 2013 Accounts Payable Professional of the Year award presented by the American Payroll Association. With an extensive career in Financial Operations, Accounts Payable, and Payroll, Donna has held leadership positions in not for profit, government, shared services, and healthcare sectors. Donna served as a member of the Strategic Accounts Payable Leadership task Force and is a founding member of the NYS Capital Region Chapter of the APA. The APA Guide to Accounts Payable is literally your one-stop-shop for everything you need to know about how to run a successful AP department. It guides you through all the essential issues you need to take into consideration in order to make proper payment decisions.